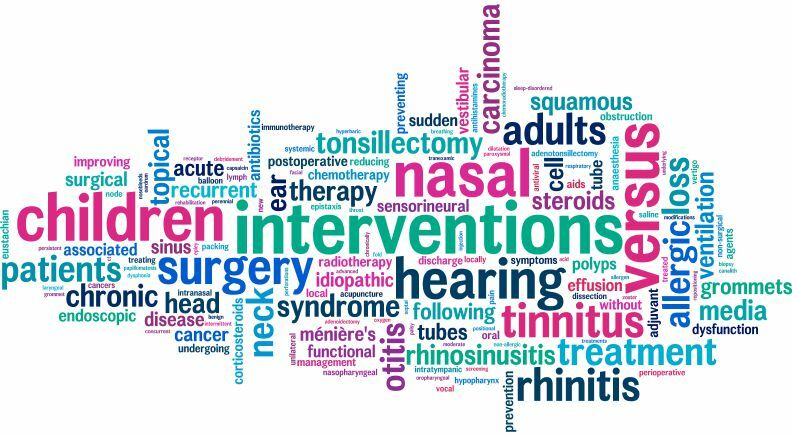 Cochrane ENT accepts for review any topic that relates to the PREVENTION, TREATMENT or MANAGEMENT, and (if applicable) REHABILITATION of diseases of the ear, nose or throat, including malignant disease of the head and neck. Therapies that might be considered 'alternative' or complementary are included. Disorders of the thyroid and parathyroid (benign and malignant), formerly within the remit of Cochrane ENT, became the responsibility of Cochrane Metabolic and Endocrine Disorders following their registration in February 2000. Malignant disorders of the oral cavity, also formerly within the remit of Cochrane ENT, became the responsibility of Cochrane Oral Health with effect from November 2003. To see the titles of reviews and protocols that have already been published or are in our editorial process, and to view details of the full range of subjects covered by Cochrane ENT, please see 'Our reviews'.